Are you serious about racing? 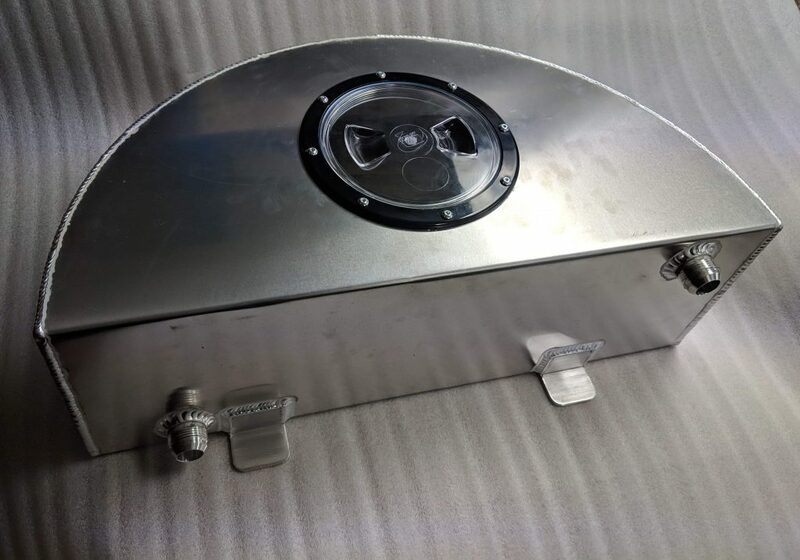 This half spare wheel trunk tank can either be placed where your spare wheel goes or on the boot floor, it comes with -16AN fittings, and a 6″ fill port. This tank is 28L in size combined with our reprogrammed EMP pump this is the a real solution for more consistent intake temps. 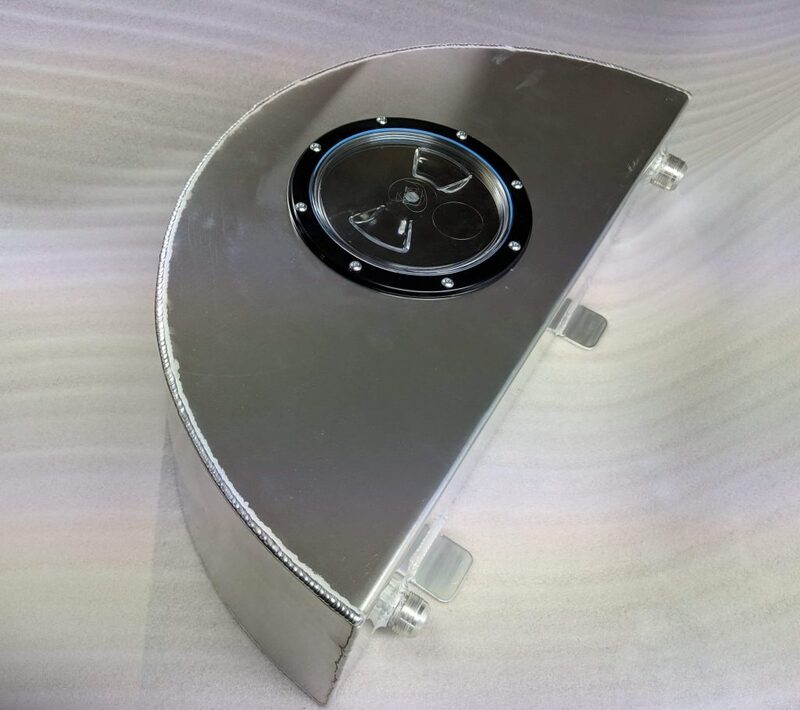 This will have a dramatic effect on circuit racing, mile racing and drag racing, it’s made a light weight alloy weighing only 4.5kg (9.9lbs), if fluid weight is a concern, you also do not need to fill it all the way up, half filled is going to also be a lot. But if you are going ALL OUT giving it hit after hit after hit, you’re going to really struggle trying to heat up this much fluid. 1000m sprints and 1 mile racers this is a perfect solution for you guys. Fluid volume and flow is critical. Your goal at wide open throttle is to be passing 0c fluid through your blower or turbo intercooler as fast as possible with this size tank it’s now a reality.